Independent minded Emily Maitland knew her parents would never allow her younger sisters to attend the Season until she married. Since she had no intention of making a loveless match with some witless fop or sentencing her sisters to spinsterhood, she eloped with the perfect man. Major Sheridan Blake was her ideal husband: handsome, charming, dashing—and completely imaginary. She was stunned when a counterfeit Major Blake marched into her life and claimed her as his bride. 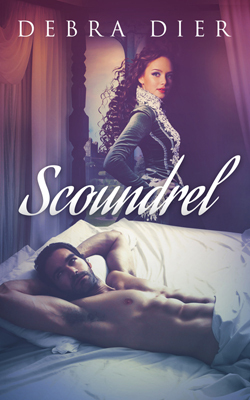 Determined to vanquish the handsome rogue without revealing her own deception, Emily soon discovers the bewildering scoundrel is even more intriguing than any ideal from her imagination. An agent for the Ministry, Simon St. James exploited Emily’s deception to suit his mission. He was searching for a traitor smuggling arms to Napoleon’s army. He found an auburn haired virago who could heal his wounded soul. Trapped in the web of his own deception, he would fight the devil himself for the chance of winning his lady.